Just look at how freakin pretty it is! ALL THE SPARKLES AND THE PINK AND THE LACE! Quite literally the most fabulous and glamorous candle EVER! I don’t like to drink prosecco or champagne but I do like prosecco and champagne fragrances, they’re very fresh and uplifting. This particular fragrance was feminine and fizzy; I found the grapefruit element in it made it tart but the jasmine and grapes sort of mellowed that out. On a cold smell the raspberry wasn’t that prominent but it came through more when it was burning, it was more like a sweet raspberry jam scent than a fresh raspberry scent in it, which I really liked. All of Colton Candles wax products are made with a blend of sustainable soy wax and the finest grade oils sourced locally in Yorkshire. Their candles are designed to produce a bright, steady and beautiful flame with a scent that intoxicates the space around you. I had my candle burning while I had the longest bubble bath in the history of the world, it felt fitting to have such a girly candle burning whilst I had a pamper session. It filled the entire room with it’s scent within minutes, I was well and truly impressed. How cute would these candles be as gifts or at a wedding?! 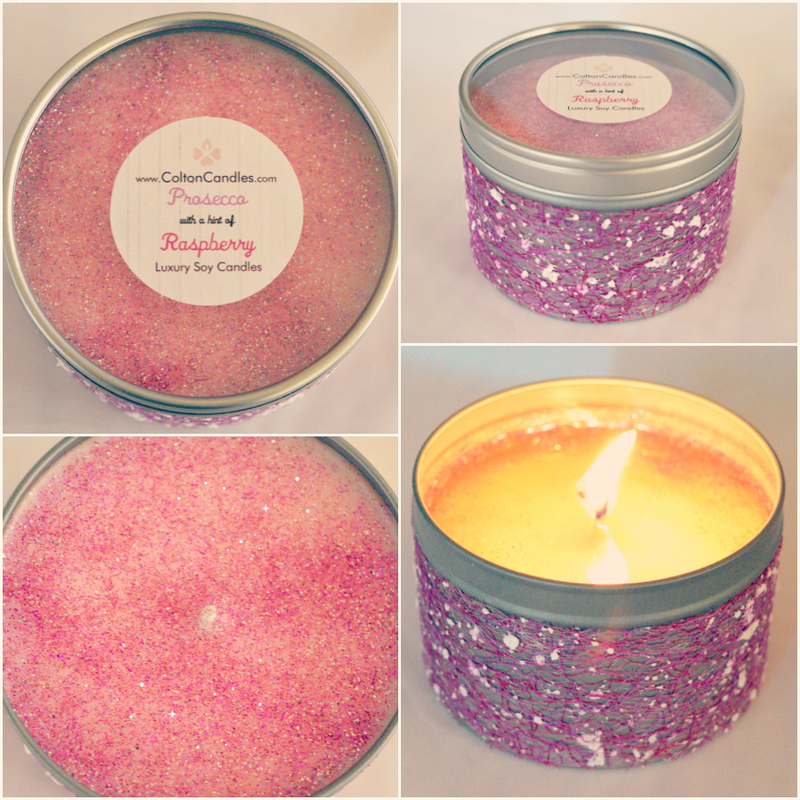 They come in so many different scents with various colours of lace and glitter so you can’t go wrong. 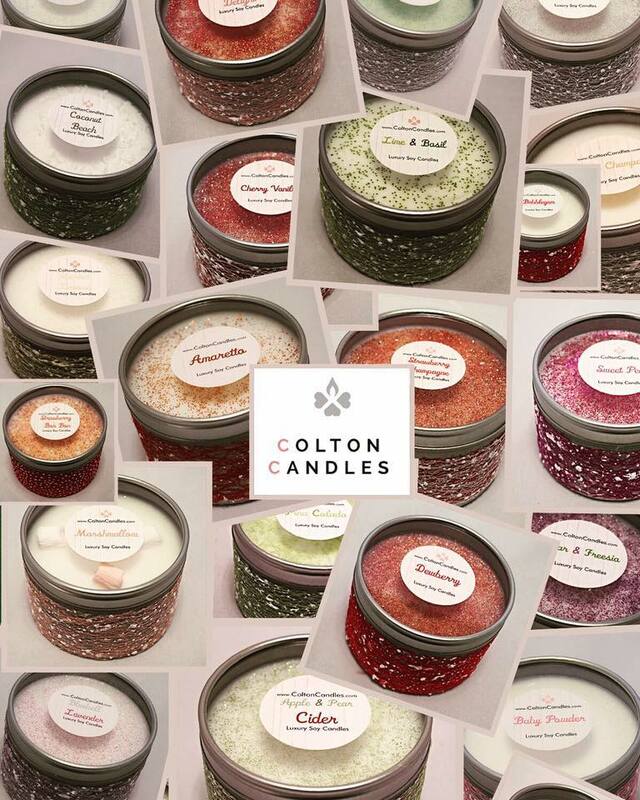 Check out Colton Candles site HERE to view all their wax goodies and be sure to show them some love on on Facebook, Twitter and on Instagram.